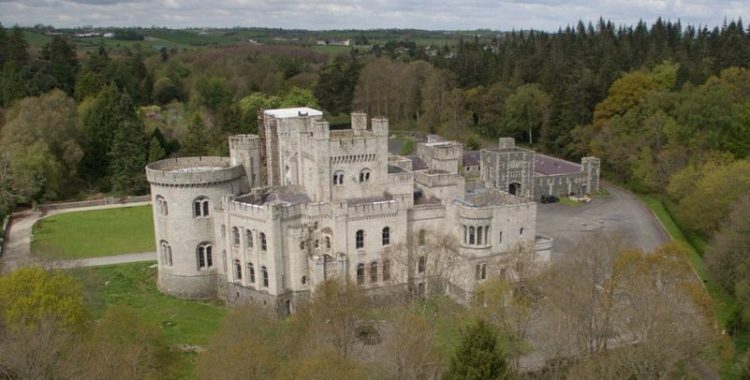 Northern Ireland’s Gosford Castle has finished restoration! The castle was used to portray Castle Riverrun, former seat of House Tully in the Game of Thrones universe. Riverrun was where the Stark family began to lose rapport with their army during the war with the Lannisters, and where Rickard Karstark was beheaded. But don’t worry about that last part, the execution was outside the grounds of the castle. Gosford Castle was mainly used in Season 3 of Game of Thrones, during the war between the Starks and the Lannisters, and the power struggle over Riverrun. Poetically enough, Gosford Castle has its own history of tug-of-war ownership. Built in the mid-1800s by the 2nd Earl of Gosford, Archibald Acheson, the castle was occupied by the Earls until 1921. During WWII, the castle was taken over by the military and used to accommodate troops and a prisoner of war camp was set up in Gosford. Following the war, the Achesons sold the castle to the Ministry of Agriculture who established the 590 acre territory, maintained by the estate, as Gosford Forest Park, which was later designated Northern Ireland’s first conservation forest in 1986. The castle fell back into military use, before being run as a hotel from 1983. The park is now a flourishing tourist attraction and peaceful space for families, with nature trails, rare breeds of animals, guided tours, and picnic areas. With its up and down history, it’s no wonder why Gosford Castle was chosen to represent the Stark’s main base camp of operations and where they held a number of their prisoners. Though we’re not close to the peaceful, family-oriented Riverlands of Westeros just yet, hopefully we’ll get there soon with the series nearing its conclusion. Now, according to the Irish Times, there may be another “battle” over the ownership of Gosford Castle that crosses borders overseas. Maison Real Estate’s Armagh branch which is selling the castle said it has received hundreds of emails, not only from interested buyers in Ireland but also from Game of Thrones fans in America, Australia and China. The estate has confirmed that it already has at least one offer for the asking price of £500,000 but, for the time being, the castle remains on the market. You could fit all your Game of Thrones novels and BluRay boxsets in here, fifty times over! Have a gala of royal proportions here! Just no conspiring please. With a little bit of dusting, this would make a beautiful living room. Fit for a king! And don’t forget the surroundings of the estate. An abode for the nature lover. Now if only that came with castle employees to cook and clean for you, then you’d be all set for your life in royalty!